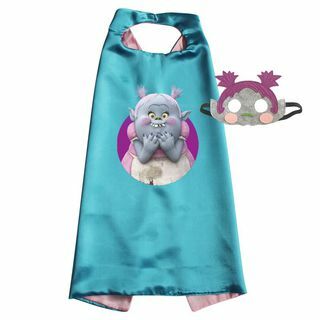 Do you know a little girl who likes to dress up? We have lots of cool things to add to your tutu outfit. 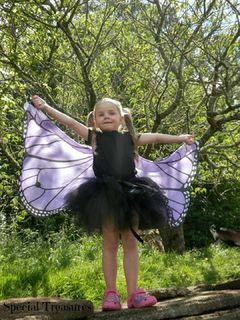 Why not add a cape or set of butterfly wings to her tutu fun? see if we can find exactly what you need to complete the perfect outfit. 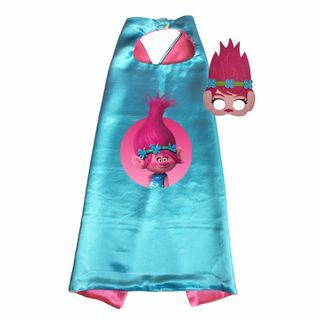 Transform yourself into the sweetest Bergen around, (aka Lady Glitter Sparkle) and the Kings girlfriend with this gorgeous Bridget  Trolls Dress Up set. 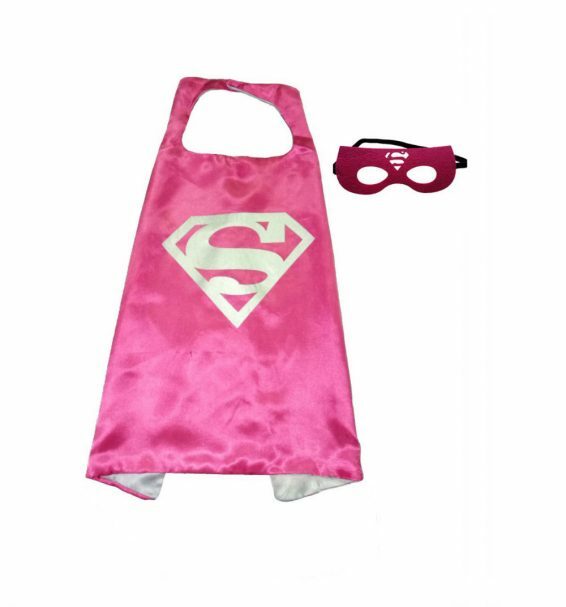 This gorgeous Supergirl Dress Up set is made with a glossy satin finish, is double sided and 70cm long. The 2 tone cape comes with a heat transfer logo and a velcro catch at the top of the cape. 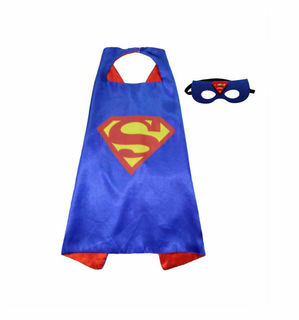 The set includes a screen printed felt mask in a strong felt material that also includes the Supergirl logo. Imagine a tutu in bright pink and blue, with a gorgeous Princess Poppy dressup set to go with it! Your lass can become the happiest and positive Troll in Village with this gorgeous set. Team it up with a tutu and you have a super cute outfit ready to play and have lots of fun. 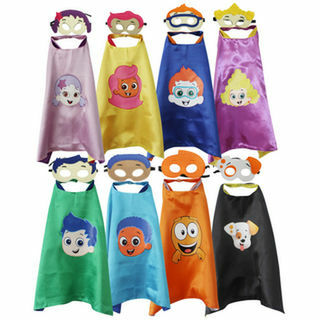 BOYS we have these super cool mask and cape sets. Dinosaurs superheroes Thomas and friends - there is plenty of options to choose from. Each set comes with both a cape and mask and will ensure hours of fun and playing. Do you have a Bubble Guppie fan at your place? They will love these sets and you can choose from Oona Nonny Mr Grouper Molly Goby Gil Deema or Bubble Puppy. This set is one cape and mask set so please specify when you order (at the end is a comments section) which set you would like us to send you. 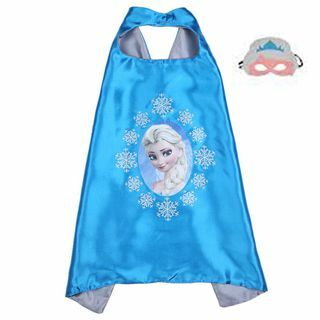 Made with high quality satin, this is a double-sided, vibrant two-tone cape with a heat transferred logo. The cape has a velcro attachment at the the neck for quick safe removal and easy use. Length is approx 70cm from the bottom to the top and the mask is a strong felt material that is stitched with the Guppie's features.